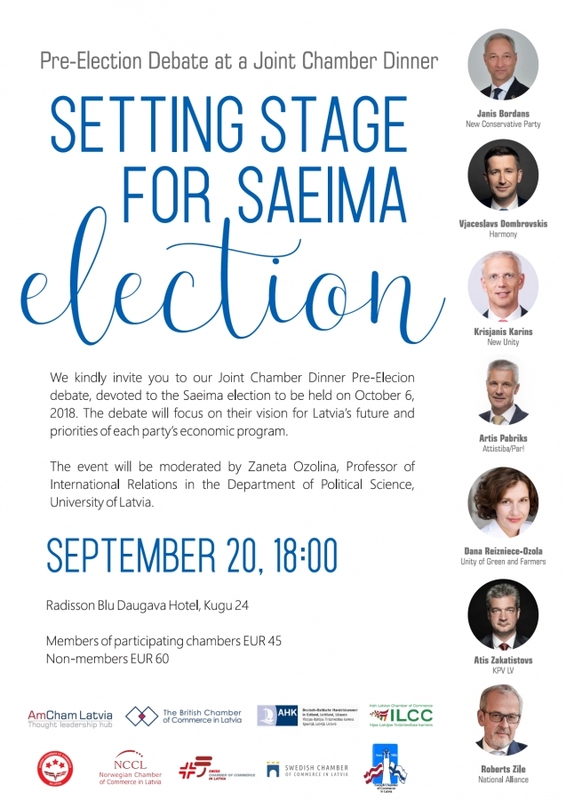 Hereby You are invited to a Pre-Election Political Debate at a Joint Chamber Dinner taking place on September 20, 2018 at 18:00 at the RadissonBlu DAUGAVA Hotel. Leaders of the political parties will be giving their view on different issues in order to convince You why they are the best to be voted in to Saeima. More information in the invitation below. The invitation to the Pre-Election Political Debate at a Joint Chamber Dinner here.